The first thing to do online business is a website. And it is very important to register a domain for a web site. And for better domain registration, some things should be kept in mind. You need to register a domain name that your user friend and even the search engine should be friendly. So let's look at the issues that we have to keep in mind before registering a domain. Must specify a good name to define a domain that must be subject-based. You should select a domain related to the topic that your business should establish. Because when you select a business related to your business, both your visitor and the search engine will be able to easily understand what is the matter of your business. In that case, your clients will easily find their desired content on your website. Of course, you have to recharge the subject matter of which you are about to select Domain. See who is working with your related domain. What is their position And they made their website aware of what they did? And depending on what they are in the first position. If you have to work on them and you are ready to do that amount. You must choose the domain that you select in order to select the domain, as easy as possible and to remember. So users can easily remember your domain name. No domain can be selected that users can not remember it even after listening several times. In order to select your domain, you must remember that the domain name is small. The bigger the domain name you choose the more likely to forget the users. So select a domain that can easily remember the lease and type it easily. The name that you choose must be careful about the name so that the spelling of the name is never wrong because most users will not remember the spelling of your domain, they will remember the word. So if your domain name is wrong, then the user will always go to the wrong address. In order to select a domain of two words, use two dots or hyphens in between the two words. 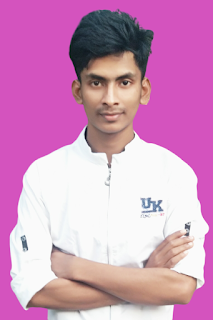 A hyphen separates the two words, such as the convenience of understanding the users, and the search engine is the only one who has the advantage of conveying what my words are. Well, of course, I'd love to be separated between two words in an iPhone. It's a lot easier to understand. But what if I write hyphens or Space Character in writing? Never, when I go to search for something, I will not write a word with a hyphen. So, in order to select your domain, you must skip the hyphen. In order to select your website name, please buy a domain by excluding seventeen / day. Because when you decide to buy a domain by a date/date, then the value of your website will be lower than that date/date other than the expiration of the time other than the user. But yes it can determine the event blogging. Because event blogging is created for a few days. And after that few days have passed, you do not need that website anymore. And event blogging aims to do business for a few days of the event. Such as http://happynewyear2018.com etc. You must exclude numbers for selection. Because the search engine never crawlers the number. And users do not write the number of times they write. Such as TecHJan2427.net etc. Must select the numbers to be excluded in order to select. No vague sound can be used that users do not understand. Or no such word cannot be used that does not go with the business you do. Or no such word can be used, which does not have any meaning. 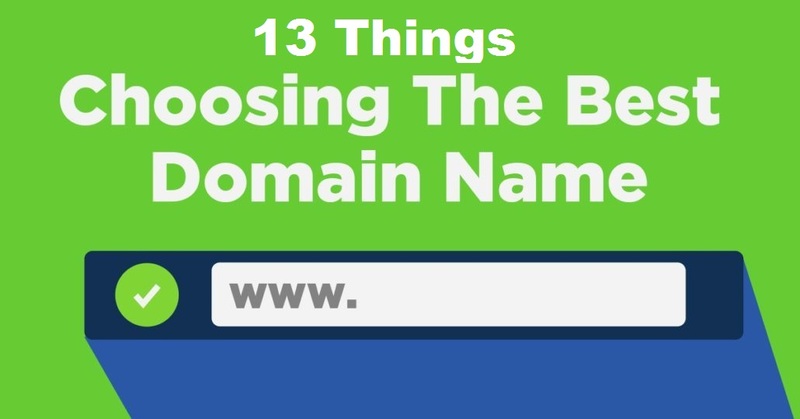 Avoid obscure and solid words when choosing domains. When we search Google, we see that we have the majority of the first-page domain. Com. It is not popular with the search engines but is popular with users. Whenever you take the domain with a dot, the possibility of clicking on it increases. Because the survey found that users are more confidential at the .com domain. So try to the domain to purchase a domain. However, if you want (.net, .info, .org, etc.) extensions you can take these are very good top level domains. But according to the category of your work you can also choose extensions from there are hundreds of extensions in addition to these. In order to buy a domain, you must remember that no trademark domain registration can be made. Some domains that have high levels of marketing. Such as facebook.com twitter.com etc are trademark domains. In that case, you can not go to facebookhake.com, facebookhide.com, myfacebook.com, etc domain. These trademark domains are likely to be banned at any time. Because once a trademark company does not want you to create your website by distorting their domain name. You must select your Business Reliable Domain in order to select the domain. Because when your business relates to a domain, then a user can easily know and understand about you. And if your domain name is a different type of business, then your user will not be able to visit your desired content. So your confidence will be reduced to the visitor. You must check to select the domain that you have no pages in the social media of this name. If your website does not have pages with social media, then it is very good for you. You will have to go to the page compilation of someone who has created a page in your domain for socializing before you. So it should be checked before selecting a domain. Following the topics discussed, however, hopefully, we can choose a good domain. In this hope, start a business like your mind by creating a website with a good domain. Hope you like it Hope to share this post with your friends and let them know. take care.